Hall Garth Hotel exclusive Gifts now available to purchase securely online. Personalise a gift voucher, add a message, preview and send it instantly by eMail, SMS Text or 1st Class Post. Round of Golf at Hall Garth Hotel in Darlington. Full English Breakfast served in Oswald’s Restaurant on the patio overlooking the magnificent grounds of Hall Garth Hotel. Served in Oswald’s restaurant or lounge. This treat includes; Homemade fruit or Mordon ruddy cheese scone, jam, Acorn dairy organic cream and butter. Fruit scone served with organic butter, clotted cream, jam, cakes ,pastries, goat cheese and sun dried tomato quiche , a sandwich and a drink of your choice. Homemade sausage rolls, mini Yorkshire pudding with roast beef horseradish crème fraiche and rocket salad, cheese scone with organic butter, black pudding scotch egg and piccalilli, Mordon cheese , a sandwich and a drink of your choice. Join us at the Hall Garth Leisure Club for a day of fitness, relaxation and excellent food. Includes full use of our leisure facilities and a voucher towards your lunch. Round of Golf and Lunch at Hall Garth Hotel in Darlington. Please note, an £8 voucher is given per person for lunch. A 45 minute treatment for fingers or toes (we are not equipped to remove any acrylic nails). A rejuvenating 25 min back massage by one of expert masseusses. A 25 minute heavenly treatment to melt away your tension. Enjoy a prescriptive manicure from one of our professional beauticians. Includes a 55 minute full body massage. Prepare for your big night with this Great Value Prom package, includes, manicure, Beau Bronz spray tanning session and full professional make up application. 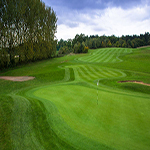 Enjoy 6 rounds of golf at Hall Garth Hotel for the price of 5. When using this gift voucher, you must call and make a reservation quoting the voucher number. On arrival, please present the gift voucher for validation. We reserve the right to refuse payment by gift voucher if a reservation has not been made or the voucher is not presented. Annual Junior Golf Membership for juniors up to 17 years old. Full access to our leisure centre for a month. Indulge your body to an exceptional one hour deep relaxation and de-stress hot stone treatment. Incorporating a facial, non surgical lift and Oxyjet for an exceptional result. Seeing is believing with this “Unique to Hall Garth” offer. 3 course dinner for two people in Oswald’s Restaurant. Includes a bottle of house red or white wine. 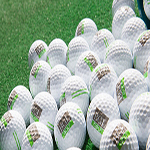 Enjoy 14 rounds of golf at Hall Garth Hotel for the price of 10. 3 course Dinner, bed and breakfast for two people sharing on any Sunday night, subject to availability. This package includes a bottle of wine and chocolates in your room on arrival, 3-course dinner in our Oswald's restaurant, overnight accommodation and a full English breakfast the following morning. Based on 2 people sharing. Subject to availability. Enjoy a relaxing overnight break for two including a delicious 3 course set dinner in Oswald's Restaurant, overnight accommodation and a full English breakfast the following morning. Enjoy a 25 minute soothing body massage and full use of our leisure facilities. 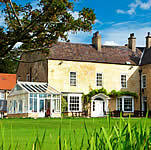 This romantic break includes a bottle of wine and chocolates on arrival, a 55 minute full body massage or a facial, full use of leisure facilities, robe and towel during your stay, a 3 course meal in Oswald's Restaurant from our Set menu, a stylish Four Poster room or Suite and full English breakfast the following morning. If you have a query or special request please call 01325 300400.